When it comes to mobile service and technicians, no one offers you more. 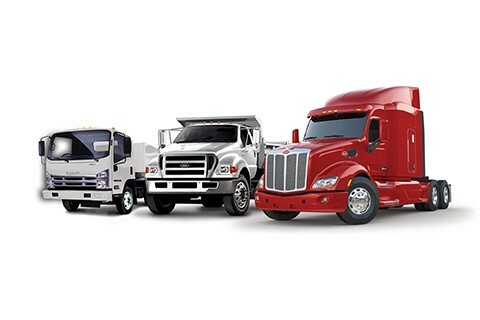 Rush Truck Centers in Colorado are part of North America's largest heavy- and medium-duty dealer organization offering one-stop sales and service, representing industry-leading brands including Peterbilt, Ford and Isuzu. We offer state-of-the-art mobile service and contract technicians when and where you need them. Our mobile service trucks are fully equipped with an on board computer diagnostic system, air and lube delivery and welding capabilities – everything required to get you back on the road or safely to one of our facilities. And our team of highly skilled, ASE-certified technicians can be the solution to your technician staffing challenges. Whether you are short-staffed, expecting a temporary increase in work-load or simply want to manage overhead costs; our contract technicians can work at your shops or job site for as long as you need them. Let us customize a service program to meet your needs.